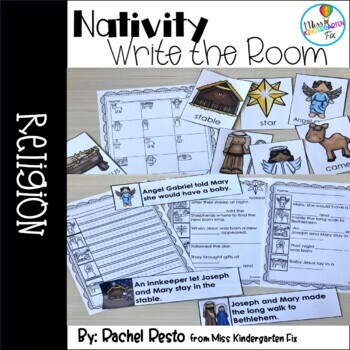 This activity is a great way to review the Nativity during literacy. 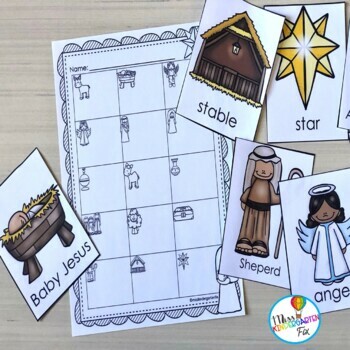 Two different versions(color) and 3 different recording sheets in B&W mean that you can easily differentiate and use across grade levels and academic levels. 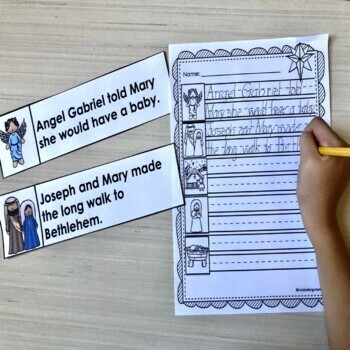 Recording sheets include: Name card, fill in the blank sentence, and full sentence writing. Print cards in color and laminate for durability. 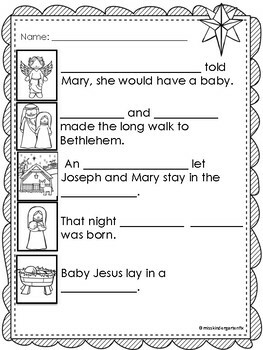 Enjoy this holiday activity. Merry Christmas.